President Trump's reckless decision to pull the U.S. out of the Paris climate agreement abdicates America's world leadership on climate and clean energy, makes us a pariah on the international stage and threatens our planet's future. But across America, local elected officials — especially state governors — are stepping up and pledging their commitment to the Paris Agreement. They promise to continue working to advance clean energy, create jobs, reduce pollution and achieve united action against climate change. Send a message to your governor now. Tell them you support the goals of the Paris climate agreement — and ask what they're doing to make your state a leader in the fight against climate change. Dear Governor: I am very disappointed by President Trump's decision to pull the U.S. out of the Paris climate agreement. The president's move threatens America's global leadership and could set us back decades in our fight against climate change. However, local leaders -- mayors, state legislators and governors like you -- have the power to continue moving America forward to advance clean energy, create jobs, reduce pollution and fight against climate change. 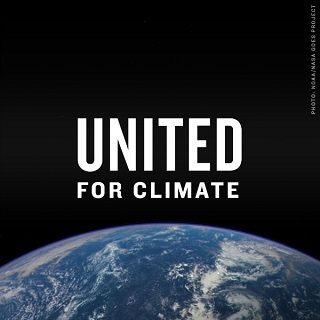 I, along with millions of Americans, support the goals of the Paris Agreement and want to see strong action on climate. Don't let Trump's reckless actions slow our progress fighting climate change. Please let me know what you, as governor, are doing to act on climate and make our state a leader in the clean energy economy. Thank you.